NYK today said it has signed a 9 billion yen ($81m) loan agreement to fund its scrubber retrofit programme. With some in the industry still debating the environmental credentials of the technology, the shipowner highlighted it is a certified “green loan” that is solely for the purpose of funding environment-friendly projects. This is also Japan’s first syndicated loan to be certified by Japan Credit Rating Agency Ltd. (JCR) with its highest ranking of “Green 1,” NYK added. 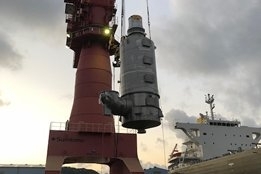 In contrast to some nations pushing for changes to scrubber rules, Japan is notably pro-scrubber, telling IMO recently that ships fitted with a scrubber and burning HSFO were better for overall proposition than simply burning 0.50%S bunkers alone.